I interrupt this regularly scheduled blog post to ask for your help! On this day in history not so many years ago Mhairi Morrison (aka Tallulah) was born (HAPPY BIRTHDAY MHAIRI) and as I was sitting here thinking about what on earth I could possibly buy for this lovely person that would properly convey the gratitude I feel for the wonderful impact she has had on my life I quickly realized that nothing material would do. I started getting that gift giving anxiety one feels when its time to give a gift to someone who is so good at giving gifts. Whether you have known Mhairi your whole life or whether you are just meeting her now through this blog, it only takes a second to discover that she is one generous lady, always with a kind thought and/or gesture for everyone she meets. She is one of those rare gems of a person who will go out of her way to make sure the people in her life (even those she’s just met) feel loved and supported. So I thought for a minute about what would make her feel loved and supported? And then it hit me: of course, the one thing Mhairi would want most in the world is for her beloved character, Tallulah, to go viral. So I’m laying out my crazy plan and I hope all of you will join in on it with me. It’s the greatest gift she could ever get and it won’t cost you a thing except a little bit of your time. 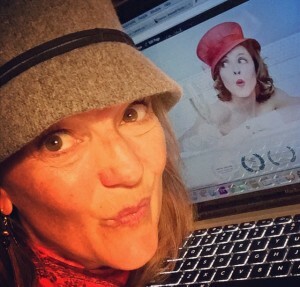 Step 1 – Take a selfie with you and Tallulah like the one I did above (to get an image of her you can either just pause your computer screen on a fav image from one of our youtube videos or pose with one of your favorite memes on our website. And then share, share away with everyone you know. That’s all you have to do. With any luck we can literally blow up her feeds with pics of Tallulah traveling the world. I intentionally waited until she went to bed tonight to post this in hopes that all her European friends and family could start this wave for us. I’ll be counting on you. She’ll be up in about 7 hours and I’m hoping she wakes up to a tidal wave of unexpected posts. With your help it will feel like Christmas morning. Make sure to always take the time to give back to those who have given so much to you. Just wanted to take the time to send out a heartfelt thank you to all who helped make Mhairi’s birthday so special yesterday. She was moved to tears by all your love. **And also as a special note, for those who couldn’t quite get that selfie thing worked out, or were a sandwich short of a technology picnic yesterday I demand that you absolve yourself of any concerns right now (she knows you love her) and for those of you who still want to send us in pics, we’ll take em, this birthday celebration is good all year, and it has been beyond fun to see all of your lovely faces. Thank you again. From the bottom of our hearts. 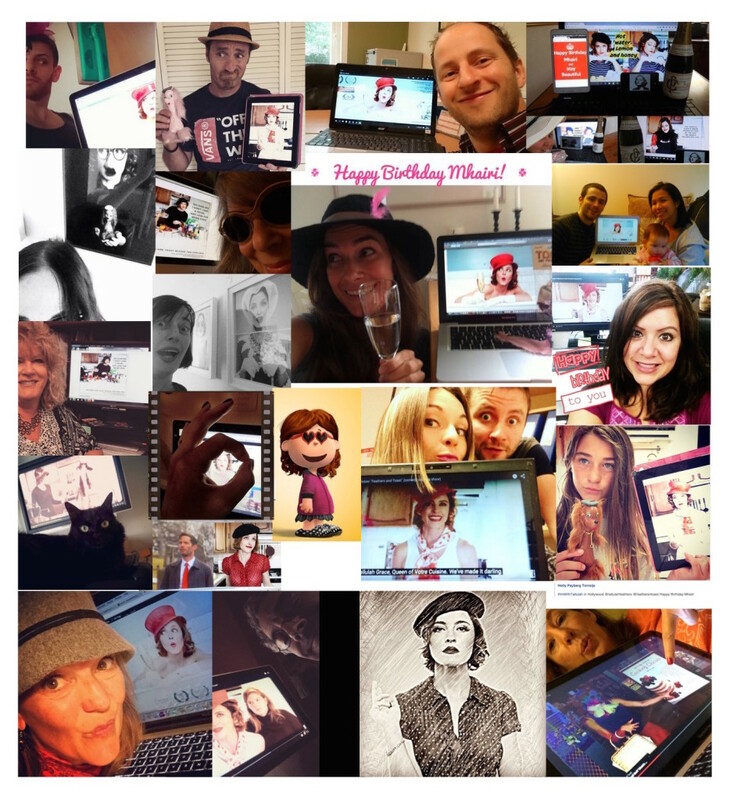 Holly's Blog #ImWithTallulah, Amelie, Best Birthday present ever, Feathers and Toast, Flat Stanley, Happy Birthday, Mhairi Morrison, Mhairi Morrison's Birthday, Tallulah Goes Viral, Tallulah Grace, Where's Waldo. permalink. Thank you so so much dear Norma. What a simply lovely birthday greeting, thank you! September Birthdays are best, but then again, I am biased. I will attempt to follow above directions, fully and completely. Thank you, Holly, for your special idea for Tallulah. Thank you so so much darling and Happy Birthday to you! Hope that the champagne was in serious free flow…and that this is your best ever year!